If you have recently adopted a dog from a shelter home or brought home a puppy from street. You have entered into an exciting phase of your life. The word ‘pet parent’ is now added to your life. Being a pet parent has its own charm. A new pet makes the home environment lively and cheerful. Everyone in the family wants to shower his share of love on the dog. 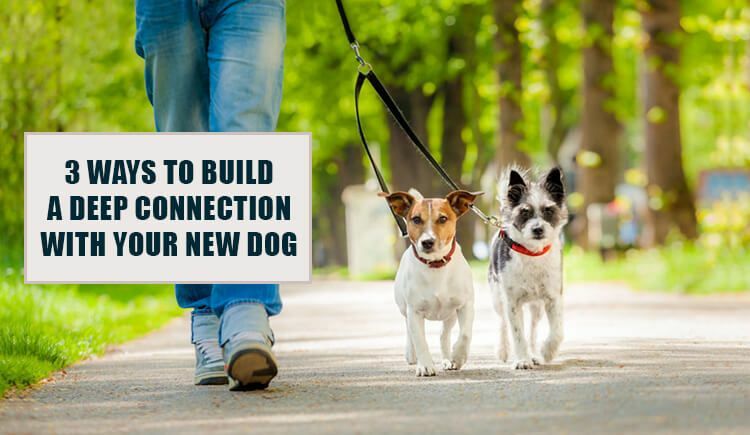 You may be wondering how to develop a strong connection with your new pet. Well, it takes time as connections are not built in days. However, as time progresses you and your dog will be like best friends. Surely, there are ways to get closer to your pet. What are they? Check the below ideas to bond with your new friend. Pet parenting is all about creating positive impressions in the mind of your pet. Greet him in the morning by hugging him at a fixed time and repeat the same in a night with a good night hug at a fixed time. Time factor is important here as your pet will associate the respective time slot with his master’s hug. Schedule regular morning and evening walks with your dog. They are good for the health and acts as a medium to know your pet better. The more you spend time with your pet, the more you both get closer to each other. Quality time spend helps your pet to grow in a healthy adult. This also reduces the chances of behavioral issues that most dogs may face due to lack of connection with their owners. When it comes to making a strong connection with your pet, be patient at all times. Do not show displeasure at him if you feel that he is not responding to your gestures. Remember patience is the key here.